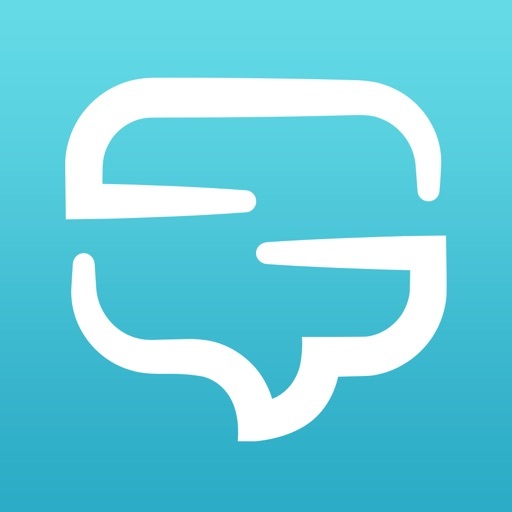 Download Captiona free via AppsHawk. 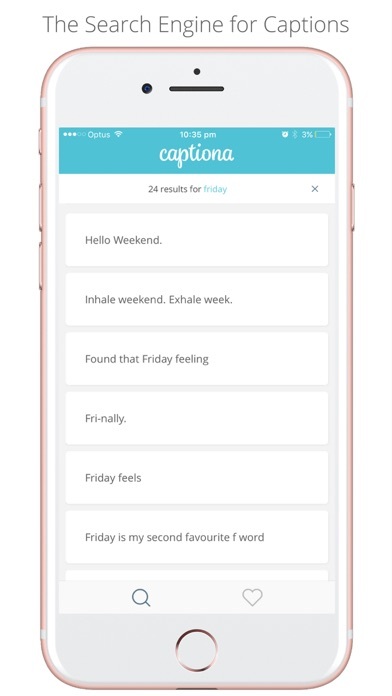 "Captiona can help you save time and avoid stress with its extensive searchable library of caption suggestions" - AppAdvice. 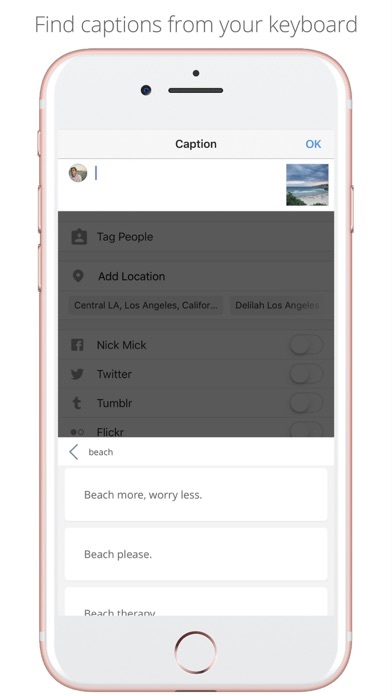 Finding the perfect caption is easy, just type a keyword like "Inspo", "fitness" or "travel" and pick from the ever-expanding database of likeable captions. 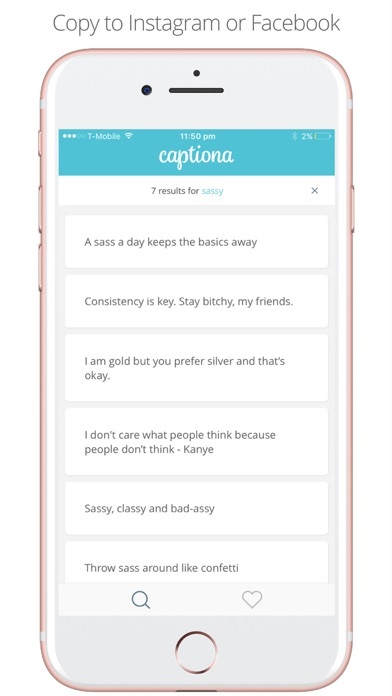 If you love your Instagram, you'll love Captiona. 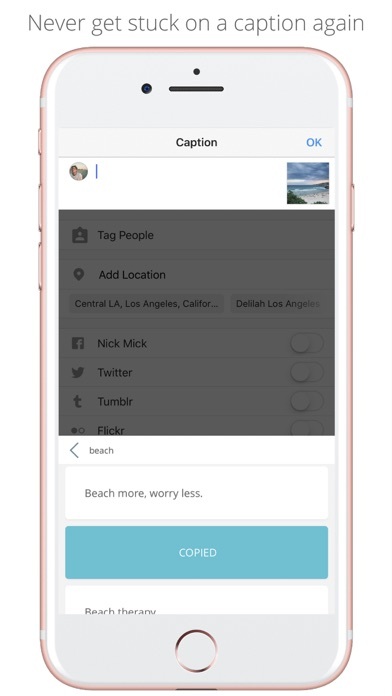 To install the Captiona Keyboard go into Settings/Keyboard/Add Keyboard/Captiona and select Allow Full Access. 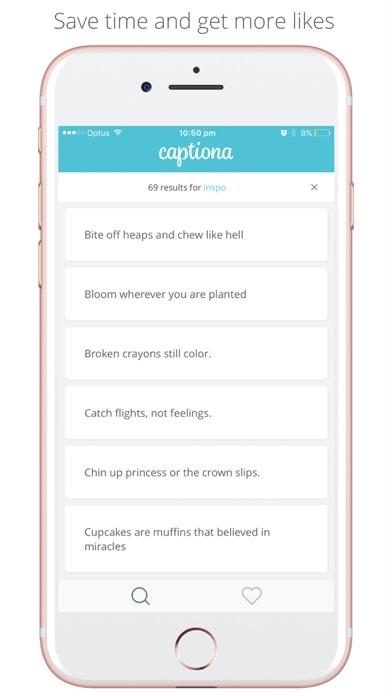 For help, visit: www.captiona.net/support.